Is it a helicopter ? Is it an airplane ? No, it’s both! With the ability to convert into a rotary wing helicopter for takeoff and landing and the ability to turn into a fixed wing aircraft for sustained flight, the V-22 Osprey is definitely the most unique aircraft in service. Since World War II, several countries have experimented with weird looking contraptions which aim to stand out from the crowd with their looks and performance, but almost none of them progressed beyond prototype stage. However, the Osprey managed to go beyond the prototype stage, entered mass production as well and is now serving with distinction. This article will examine the origins, features, performance and the future of the V-22 Osprey. It all began with the Iranian hostage rescue crisis, when the failed Operation Eagle Claw created a need for a special purpose aircraft with a large payload and extremely short take-off and landing (STOL) capabilities. 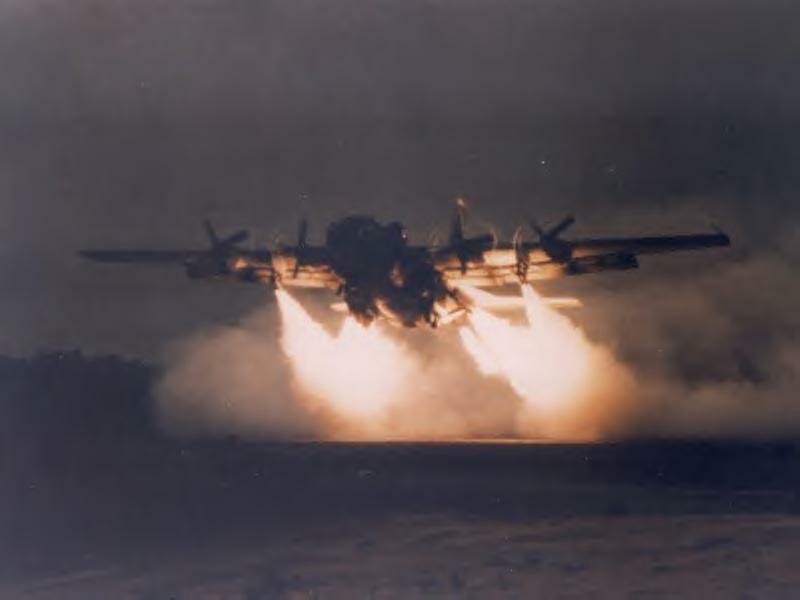 The USAF experimented with a modified C-130 fitted with rocket engines which would enable it to takeoff from a strip of runway which was barely around 100 m. However, this experimental concept which would participate in Operation Credible Sport was terminated after the modified C-130 crashed. 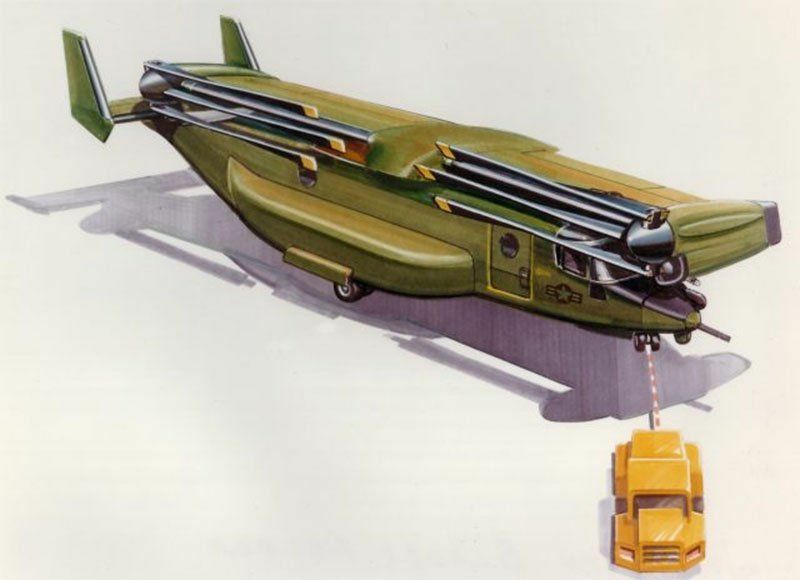 This necessitated the development of a special transport aircraft which could take off vertically and carry a significant payload while flying at the speed of a C-130. Helicopters were just too slow and even the most capable short take-off aircraft needed a few hundred meters of runway. So Boeing and Bell, two American aerospace giants, came together to create a new aircraft to fulfill the US Department of Defense Joint-services requirement. 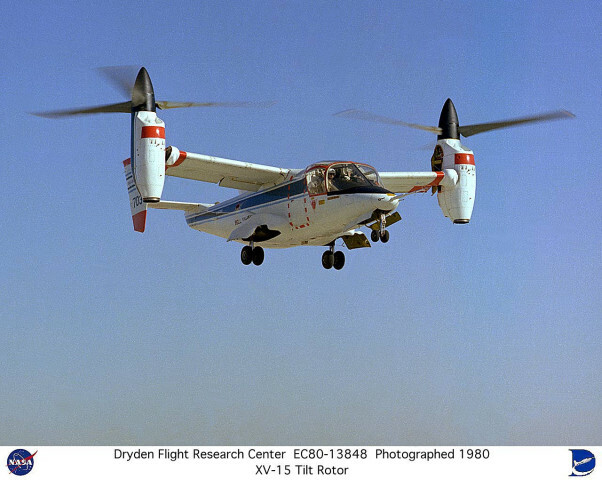 The Bell XV-15 prototype was to be used as a base for the design of this new aircraft, which was to be a tiltrotor. A tiltrotor is an aircraft which can take-off vertically like a helicopter and then tilt its rotors and cruise like a conventional aircraft. This aircraft would give them the a decent payload and vertical take-off & landing (VTOL) capability of the CH-53/CH-46 helicopters and the cruise speed of a C-130 Hercules. The XV-15 was a technology demonstrator and never entered production. A C-130 refuels a CH-53. The Osprey combined the abilities of both these aircraft into one airframe. 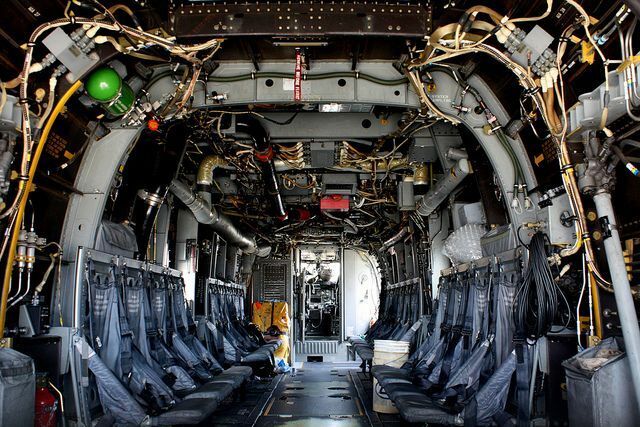 The first Osprey was rolled out in 1988 and started flight trials in 1989 in both helicopter and airplane mode. The next part of the trials was held on board the Landing Helicopter Dock (LHD) USS Wasp in 1990. However, 2 prototypes crashed after this in 1991 and 1992, fueling the criticism towards the program and multiple efforts were made to cancel it entirely. The Osprey managed to survive this phase of technical defects and the necessary modifications were made by Bell and Boeing to redesign the aircraft, improve its performance and rectify its faults. The newer models, designated as V-22B, performed better and extensive trials were carried out till 1997, when the first low-rate initial production (LRIP) was started. 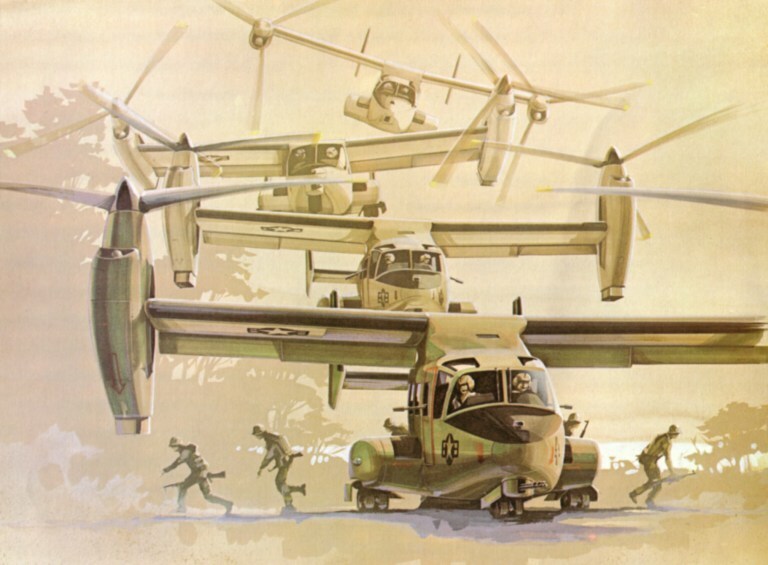 Early operational concept of the Osprey in action. Note the gun turrets under the nose. Testing continued with these LRIP aircraft until 2000, when unfortunately 2 Ospreys crashed. This was investigated and major modifications were made in its software and hardware which made it safer to fly. One of the main reasons for these many accidents was the unique design which had never been produced or heavily tested before. In 2005, the Osprey completed its final operational evaluations and was approved for full-scale production. The requirements were USMC – 360 aircraft, US Navy – 48 and the USAF – 50, priced at 110 million $ apiece including developmental costs. V-22A Osprey, with folded rotors, rotating its wings 90° into the shipboard stowage position, USS Wasp (LHD-1), 5 Dec 1990. The Osprey was the first aircraft of its kind to enter serial production. It was designed to seamlessly convert from helicopter to airplane mode and vice versa. The composite photo shown below illustrates how this conversion occurs in mid-air. The 3 blade propellers act as rotors as well and are designated as proprotors. It’s airframe and proprotor make extensive use of composites to reduce weight and increase strength. The engine is the most important part of this aircraft and it needs to provide the adequate amount of thrust for both rotary and fixed wing flight. The Osprey has 2 two Rolls-Royce AE-1107C turboshafts which generate 4,586 kW each. They have a unique drive shaft arrangement which allows one engine to power both rotors in case the other engine fails. This will play an important role in reducing accidents. The engine exhaust has proved to be a bit of a problem as it is extremely hot and causes damage to the ship decks during take-off an landing. This has been temporarily rectified by placing portable heat shields under the engine exhaust nozzles. The Osprey has a cruise speed of 450 km/hr and a maximum speed of 565 km/hr, though a higher speed is possible, it is restricted by safety limits. It can carry an internal payload of 9,000 kg or an external payload of 6,800 kg. A specifically designed 4×4 vehicle called Growler is carried inside as existing vehicles cannot fit inside the Osprey. It has a crew of 4 and can carry 24 troops in the regular seated configuration and a maximum of 32 in maximum density configuration. The un-refueled combat radius is 720 km and it has a ferry range of 3600 km with auxiliary internal fuel tanks and no mission payload. It is said that the Osprey will replace the C-2 in the carrier on board delivery (COD) role for the US Navy as its flexibility gives them more options and ships to land on than the C-2. The other important use of the Osprey is for air to air refueling. While flying in airplane mode, it can hover slow enough to refuel helicopters ad cruise fast enough to refuel fighter jets. Initially its refueling capabilities were tested with an F/A-18 Hornet and the Osprey has proven itself in this role and will play a major role as a mid-air taker. In this mode, a regular Osprey can be fitted with a roll-on/roll-off fuel tank with a maximum capacity of 5400 kg of jet fuel. This will allow it to refuel USMC F-35B/ 1 USN Hornet/ 2 medium helicopters. This will allow the Marines to extend the strike range of their F-35B, which has a small internal fuel load. This tanker capability will be available to the Marines by 2017, but the US Navy currently has no plans to purchase it for their carriers as refuelers. An Airborne Early Warning (AEW) variant of the Osprey was proposed so that the USMC could have their own AEW platform to use along with their aircraft operating from LHDs, instead of having to rely on the Navy’s E-2. But the AEW variant remains only as a concept till date. The Osprey entered service with the USMC in March 2007 and has been gradually replacing Ch-46 Sea Knights since then. A few months later, it made its combat debut in Iraq and has been actively deployed in various parts of the world since then. It made its debut with the USAF in 2009 and has been used for special forces insertion missions in Syria. The USAF plans to maximize the potential of the Osprey by configuring for combat search & rescue (CSAR) to complement the HH-60 Pavehawk. The Pavehawk is limited by its 300 km/hr cruise speed and the faster Osprey can be deployed in high threat environments where time is of the essence. 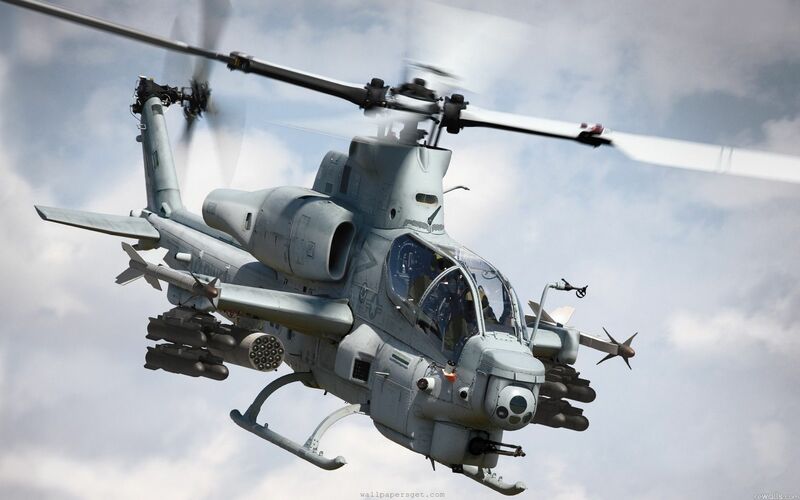 It has taken part in humanitarian and combat missions successfully and has proven to be a fast and reliable aircraft whose speed provides it with a major advantage over conventional helicopters. 4 Mv-22s were deployed in Nepal in the aftermath of the 2015 earthquake to assist with search and rescue operations. This helicopter has been a game changer for the US Marines as it offers them exceptionally fast aircraft which can be deployed from US Navy aircraft carriers, Amphibious assault ships, Landing Platform Docks and Independence class LCS which can be valuable while carrying out special forces operations. It is also easy to store on board a ship as you can see in the photograph below. The wings and the rotors completely tilt to allow compact storage. It was proposed that the V-22 should be armed so that it could provide retaliatory cover fire while landing in hostile territory. 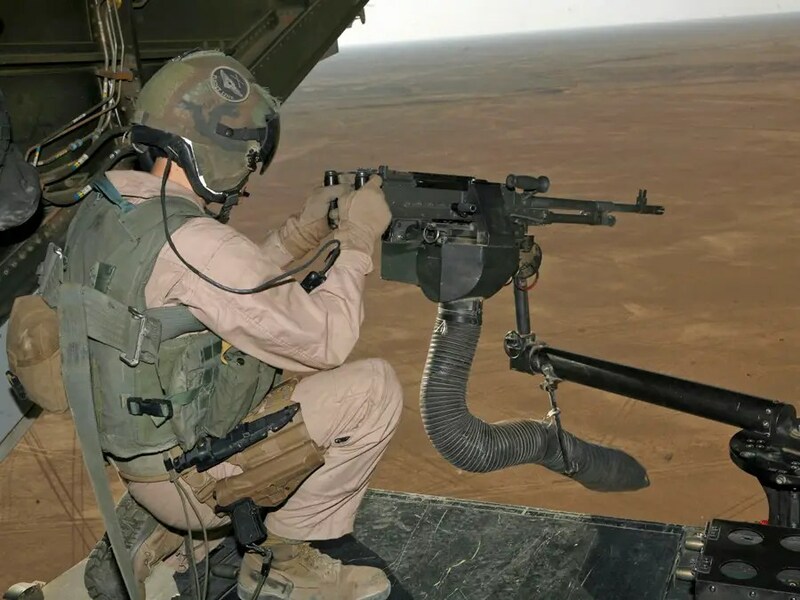 However, apart from a ramp mounted machine gun which has proven to be of little use, no fixed weapons were mounted on the Osprey. There exist several concepts to turn the Osprey into a transport-gunship, but none of them have been approved for combat, mainly due to the adverse effects of the added weight. 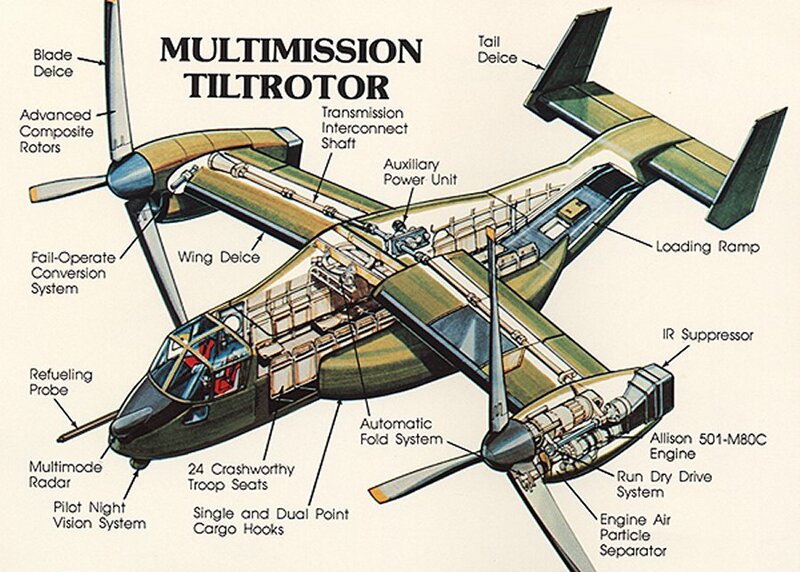 Being a unique aircraft which faced a lot of problems early on, the Osprey hasn’t achieved any spectacular export success. However, this is all set to change now as it has performed up to expectations in the recent years. Japan has placed an order for 17 V-22 aircraft to operate and deploy on their various islands which may not be able to handle conventional transport aircraft. The Osprey has also been tested on Japanese helicopter carriers by the USMC to make sure that it can fit in their elevators and hangars. Other potential operators of the V-22 include Israel, India, South Korea and UAE. Israel was interested in acquiring a few Ospreys to use for special operations, but the deal has been postponed. India is keen to acquire 4 Osprey’s for their Aviation Research center (ARC) and the Indian Navy has also shown interest. South Korea and the UAE are in various stages of negotiations and it is unknown whether they will eventually buy them. is my opinion wrong, and also how often does this kind of situation come a long? Only Eagle Claw itself. * It is a weard concept that doesn´t fit anywhere, it is too fast for operations with helicopters ant too slow for operations with combat aircraft. * Because of its safety parameters it isn´t really a multipurpose vehicle, and weapons options are limited. aviability is still lowers (only 62%). aviable), and csar missions were firepower to shoot his in and out, is not an issue. Once the highspeed helicopters arrives, the osprey is going to loose his only advantages over helicopters and it will becomme useless. There is a reason why other aircraft producing countries never had a true interest in this kind of vehicle. Great points Juan. Still I like it as it’s an excellent spec ops helicopter. Of course it can operate with helicopters. The primary mission of the V-22 was to quickly deliver marines..not operate alongside marines. Not a multipurpose vehicle..are you kidding?? Yeah the Ch-53 can carry more but it cant go nearly as fast and has about half the range of the 53. Speed and range is why the V-2 was built. What high speed helicopters are you talking about that can match the V-22 speed, range, and payload?? It matured a few years ago. 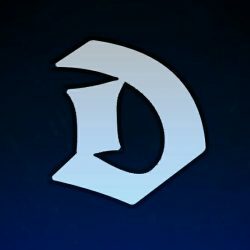 All reliability issues have been fully solved now. Wow I never knew they are going to replace c2 planes! by doing so they can definately compensate some of the high maintenance costs. I am not surprised by the fact that India is discussing about purchasing it but I would be surprised if if they make this deal for IAF. They already operate mi 26 and mi 17 transport helicopters. Inida did make a deal for 48 or more new mi 17 v5 helis fitted with Indian mission control computers but when it came for heavy lift ones they decided to go with Chinooks and not mi 26 because of it’s maintenance costs and availability. But what about Indian navy? I think v 22s can do a great job as INS Vikrant and INS vikramaditya can not launch a C2 type of AEW planes and no one knows what type of carrier will India produce in future. One more thing India is now allset to become second customer of S400 missiles please write an article on this as some say it can even shoot F35s ( http://in.rbth.com/blogs/2015/03/11/how_russias_s-400_makes_the_f-35_obsolete_41895 ) Moreover I cannot get information on how it works against ballistic missiles. Indian Navy is also interested in AEW version of Osprey. Nothing has been confirmed yet. But what we do know is that they are going to order 6 E-2D for their next 2 carriers. The prospect of V-22 in AEW configuration is slim. However there is a strong possibility of then purchasing 10-15 V-22 to operate from their future 4 LHDs as transport helos. Any missile can shoot down F-35. It’s the detection, tracking and missile guidance that’s difficult. The S400 uses a combination of 4 powerful radars operating at different frequencies from UHF to S-band to detect and engage stealth targets with its 250-400 km range SAMs. The S400 is also extremely effective against Intermediate range ballistic missiles and short range ones. The S500 will be developed for intercepting Intercontinental Ballistic missiles only. I don’t get it ” they are going to order 6 E-2D for their next 2 carriers” which ones? INS Vikrant is a STOBAR type of carrier, can it launch such a plane? The next one in the line is INS Vishal it may have a catapult. But where is the other carrier? I think India will definately use Israeli and Indian electronic systems on S 400. I guess it makes Indian S 400 system slightly more lethal than it’s chinese counterparts. By the next 2 carriers I meant the 2 65,000 ton CATOBAR carriers which will be built with US assistance. It’s not one carrier as media reports. The catapult part is 100% confirmed. The S400 sold to India cannot be modified in any manner. It will be used as it is. Even China cannot modify it. It will be as lethal as the Chinese variant. Only aircraft and ships can be modified and customized with a variety of electronics from various suppliers. However India will integrate the systems to take data from the existing Green Pine Israeli radars to enhance the coverage of the system. Two 65,000 ton carriers, WOW!!!! I am surprised that means India Navy’s total carrier fleet will be four. But with “US assistance”, I guess we are paying for that CATOBAR or EMALS just like French did. I guess Americans are eager to fit that launching system because after that India will also purchase C2 planes just like French. It would have been an assistance if they shared the technology too or it is being shared?? 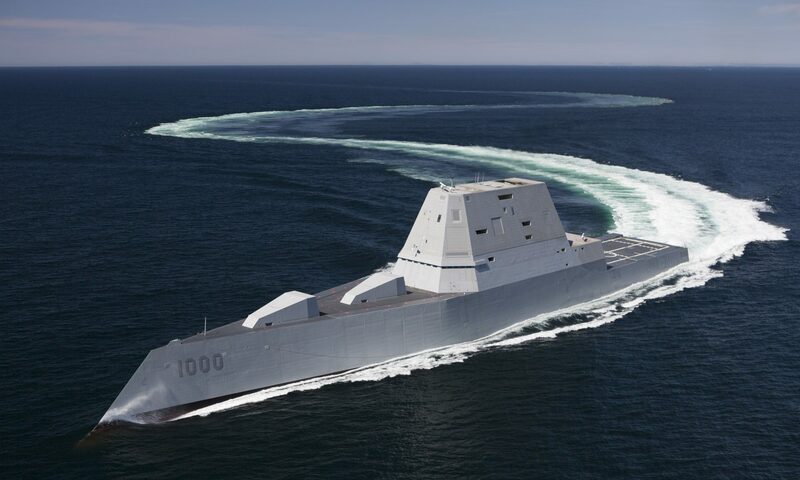 Did you know that no world power agreed to share the technology of special quality of steel that is required to make Carriers. Only Russia agreed to sell that steel but kept quiet when it came to technology. Finally India had to develop it on it’s own but I don’t know the same about Chinese, who knows they might have recieved Russian assitance as Russia’s own carrier fleet is of no use against America’s pacific fleet. N.R.P. F-22 Raptor’s RCS is 0.0001m square, can S-400 UHF and other Radar Systems can detect F-22 Raptor ? Yes. Detection is possible. But tracking and engaging is a challenge. The problem that A2/AD defenses have is the F-35 flying in at 20 feet throwing HARM missiles at every source of EM radiation. Even OTH radars will probably not pick up those aircraft due to ground clutter. I see no possible recourse for those S-300 and S-400 batteries. They will be defenseless. I thought this link about new Indian mi 17 v5s might be useful. I don’t think India will buy these , because there still more important things to do such as the navy needs new helicopters of various types to replace the ageing Sea king and cheetah and chetak… And I have read that it has very high maintenance costs. Indian MOD recently is worried about the increase in operational costs of the aircraft so…. 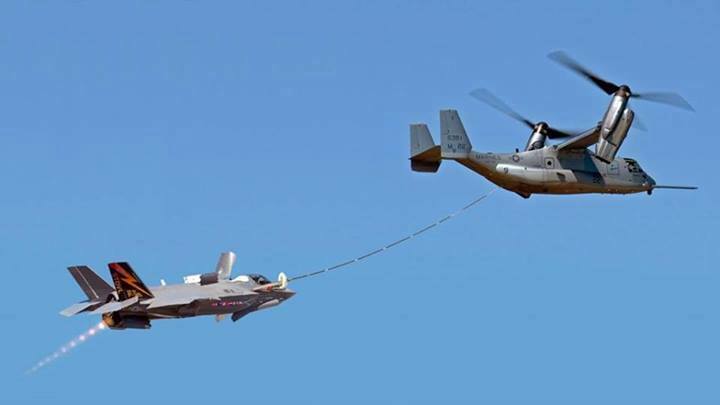 Although I am a big fan of the Osprey, I must note that the picture of an Osprey refueling an F-35B is an obvious fake. For one thing, the F-35B is a prototype, which they would never use in a refueling test. Second, the refueling hose is going up to the [closed] ramp of the Osprey at the wrong place and is at the wrong angle. Look at the next picture to see how it looks for real. Third, both the Osprey and the F-35B are in powered lift mode (i.e.the wings are not providing most of the lift). Why would anyone do that? Much simpler and more efficient for both of them to be be flying in full airplane mode. as the picture with the F/A-1 show, the V-22 can easily go fast enough for the jet to take on fuel normally. Third, the F-35B’s deflected nozzle shows an afterburner flame. This alone shows the picture is faked. The afterburner is non-operational when the nozzle is deflected away from the horizontal. Even if it could function like this, it would be insane to do so. The thrust from the engine at the aft end would be so much more than the fan is putting out at the front, the F-35B would keep flipping end over end, until it crashed into the Osprey (that really isn’t there anyway).